Since 2012 Andratx town council has taken special measures, with a firm commitment to both owners and pets, in conjunction with the growing number of households with dogs, residing or visiting the area. These measures are supported by several studies showing that outdoor exercise and extended contact between humans and dogs helps to reduce stress in both. Two mayor changes were implemented in 2012; the first was to allow people the opportunity to take their dogs in nearly all taxis in the municipality. The symbol for the taxis allowing dogs is a distinctive pet friendly sticker on its side window. 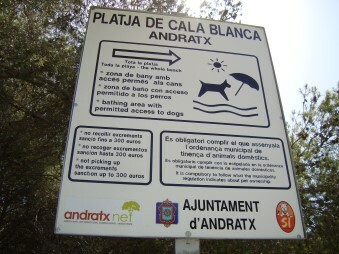 The second change implemented allows dogs and other domestic pets to circulate freely along all Andratx beaches during its low season; November to March (both included). This way the dogs can stretch their legs and enjoy a race or a walk freely without needing a lead. However, the city council would like to remind those using the beaches that, in order to preserve and guarantee civic coexistence in these public spaces, during the high season, April to October (both included), use of the beaches will be banned for all pets. When using the beaches dog owners are, at all times, responsible for avoiding fights between their dogs and others, the removal of excrement and showing respect to other beach users by not approaching or annoying them in any way during this time. Other facilities available around the municipality are the smaller dog parks, so called “pipi-cans”, and bags for picking up the excrement, for both dogs and cats. In Andratx there are many possibilities to enjoy nature and great variety of sports. As well as many great beauty spots which can be discovered on foot or by bike, there are modern sport installations which can be used to entertain the whole family, you can play golf, go sailing or just take a swim. The municipality of Andratx is one of the most attractive regions of Mallorca, thanks to its privileged situation, within the Majorcan geography, set in the south-western part of the Tramuntana mountain range. It has great scenic diversity, from impressive mountainous landscapes and pleasant interior valleys, to a rugged and spectacular coastline with small bays and sandy beaches that invite you to take a refreshing swim in the blue crystalline sea. Many cultural events enliven the municipality as well; the calendar is full all year round with festivities, exhibitions, theatre and concerts. The cultural, natural and ethnological heritage of Andratx is important and of lasting value. 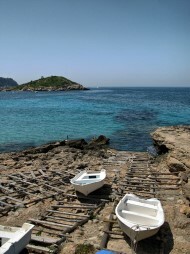 There are many heritage sites and ruins around the municipality: churches and oratories, farmsteads and mansions, defence and watch towers, and lighthouses, but the Natural Park of sa Dragonera Island and the Natural Reserve of la Trapa are the main attractions of Andratx. 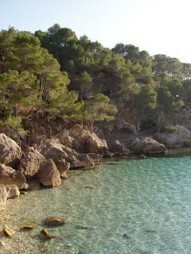 Some of the finest quality hotels and restaurants that Mallorca has to offer are to be found here. You can choose among hotels, pensions and agro tourism to spend pleasant holidays. The restaurants, around the coast as well as inland, offer local, national and international food of great variety, their speciality being fresh fish. Many exciting activities and possibilities are at your disposal in Andratx, one of the most beautiful regions of Mallorca.